Our favorite holiday of the summer is just a hop, skip, and a jump away! I love Independence Day because we get to break from the norm and gather with friends and family to have a good time and celebrate a nationwide birthday party! What’s better than that?! There’s BBQ’s, Pool parties and Firework displays across the country. Plus we get to dress up in our Yankee Doodle Dandy best and show off our true patriotic colors - which may be cheesy to some, but I happen to enjoy. In fact, my outfit of choice this year is some jeans, fedora, and a cute stars and stripes graphic top I found at Lane Bryant. It’s sold out online but you can try your hand in-store. I know I also saw quite a few other red, white, and blue options that would make a great 4th of July ensemble as well. I hope you lovelies have a happy and safe holiday weekend! I absolutely love this outfit for the holiday weekend! So festive and patriotic! 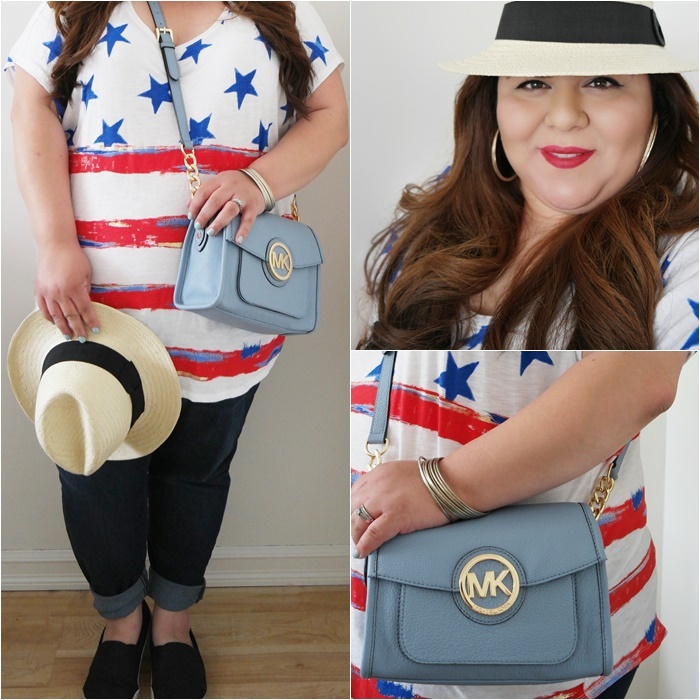 This is the weekend to pull out all of your Americana wear and it looks super cute and appropriate! Perfect! Enjoy your weekend!